S.W.A.N. 's mission to defend areas of protected open land and to keep a watching brief over planning issues that affect Westhoughton. Formed in 1998 by local residents as a campaign group to stop the building of 1100 homes and industrial estate on green land at Lee Hall, still meeting regularly, S.W.A.N. has developed expertise in planning law and has sought to represent residents, influence debate and policy, and where necessary oppose inappropriate development. It is a group concerned about planning developments in the Westhoughton area, and keep a watching brief over planning issues that affect the area; and thus their impact upon 'Green Spaces', 'Environment', 'Traffic & Infrastructure' and 'Amenities'. S.W.A.N. 's expertise and input has fed into local planning policy. Three key areas had been given 'Protected Open Land' status in statutory planning documents (UDP and LDF), and in the recent Local Plan consultation, over-development and pressure on infrastructure and services has been acknowledged by Bolton Council Planners and Planning Inspector. Three key areas of green space are were designated 'Protected Open Land' (POL) meaning development is 'less likely' and the town's independent character is maintained. Following a Planning Appeal decision on a Blackrod site citing a shortfall of building completions in Bolton as per the '5-year Supply Requirement' there is now some doubt the status of POL sites. The emergence of the Greater Manchester Spatial Framework (GMSF) in recent years has, despite its adoption in 2011, superseded the Local Plan; newer planning policy and development target shortfalls have led to successfully appealed planning applications on both Bowlands Hey and Lee Hall. The demise of the Bolton Local Plan (formerly Local Development Framework [LDF]). New National Planning Policy Framework to presume in favour of 'sustainable development' to increase house-building. Population growth – recent report suggests Bolton's population will grow by 20% by 2035. Possible Lee Hall development. Not part of 2011-2026 'Local Plan', there have been submissions by developers as part of a review consultation for development of this significant area of land buffering Westhoughton and Atherton. (Similar proposals submitted for Ditcher's Farm and Bowlands Hey*.) Although a review by the Planning Inspector declared the Local Plan 'sound', with no major revision to allocated sites and key areas of 'protected open land' keeping that status, in late July Persimmon have put forward plans for a 300-dwelling development (94696/15) on land north of Platt Lane up to Chequerbent. There is strong opposition locally voiced during the consultation period. The application was unanimously rejected at the Bolton Council Planning Committee meeting 22/10/15. Persimmon and Peel Holdings initiated an Appeal against this refusal, the application reviewed by the Planning Inspector and approved (19 Dec 2017). Further development of Lee Hall is likely since its inclusion in GMSF. Protected Open Land at Bowlands Hey saw planning application for 129-dwellings. Initially refused in late 2016, it has since been approved by a Planning Inspector and will go ahead. Greater Manchester Spatial Strategy (to 2035) - Devolution will mean planning comes under the control of the new 10-Council Greater Manchester Authority - a key priority is to increase house-building to boost the economy ('Northern Powerhouse'). What will this mean for Bolton and Westhoughton? Proposed sites have been submitted - submitted sites for consideration [use zoom, and layers]. Note, incursions into Protected Open Land and Green Belt. 20/10/16 saw the release of the consultation with GM-wide plans for 277,200 dwellings, including large Bolton sites at Lee Hall/Hulton Park, Bowlands Hey and near Gibfield (4,500 dwellings in total). GMSF Consultation First Draft - closed 16/1/17. Feedback and concern mainly over loss of green belt land will see a revised draft produced in 2018. 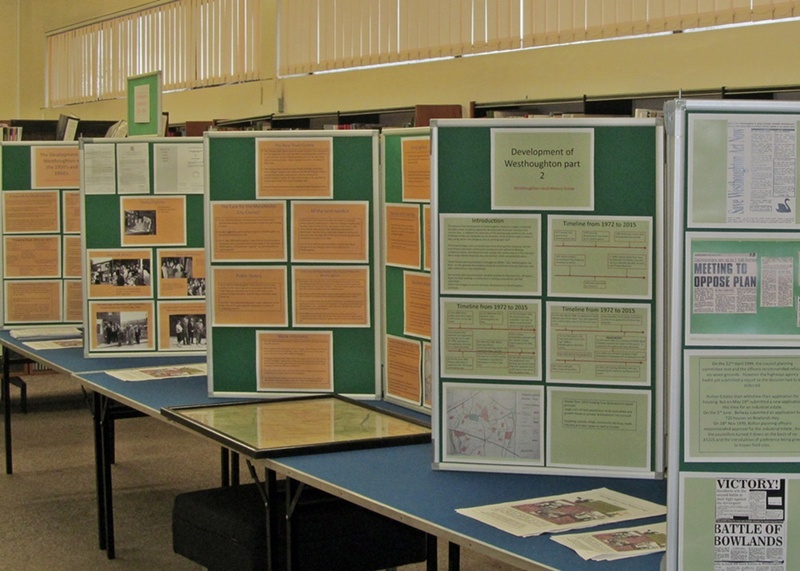 Entitled 'Westhoughton and the Threat of Siege', this late 2015 exhibition at Westhoughton Library, and put on by Westhoughton Local History Group, told the story of the growth and development of Westhoughton from the days of the 'Manchester and Salford Overspill' to now. 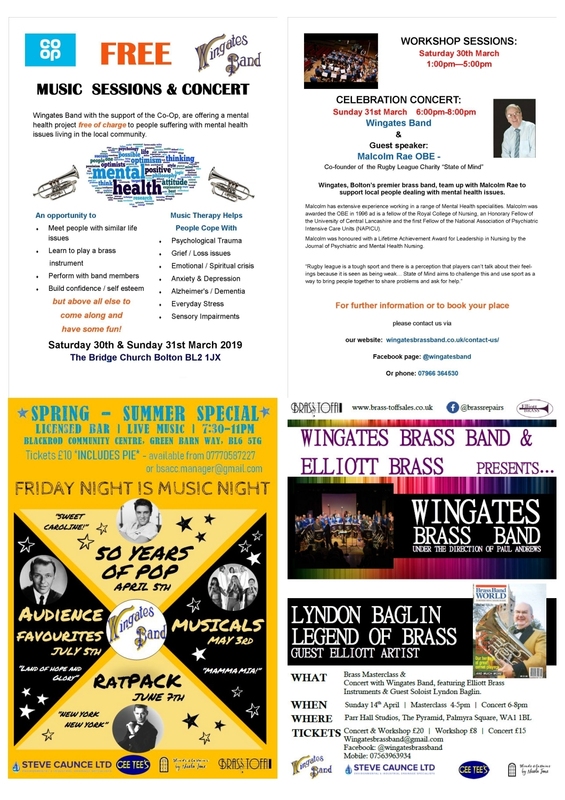 A comprehensive collection of information, maps and photos covering the last half-century as Westhoughton has grown, doubling in size. The plan, the battles, the campaigns and the emergence of S.W.A.N. (Save Westhoughton Act Now) as a pressure group focusing on the planning issues affecting the town. Social Media: S.W.A.N. Facebook Group | @SWAN_online.